Design lies behind everything we buy, use and desire. Good design is attractive, useable and practical and also sells. Good designers combine aesthetics with functionality, communications with entrepreneurialism, visual communications capability with effective written and spoken communications and the ability to work and empathise with others. Students after SPM or O-Levels interested to pursue a top UK degree in Advertising & Brand Management may go for the Foundation course at Asia Pacific University (APU) for 1 year and then enter into the 3+0 UK Bachelor of Arts (Hons) Advertising & Brand Management degree offered at APIIT. Designers work on everything from household products to industrial ones, from advertisements to any visual communication, from small to massive projects, for themselves and for large corporations. Every time you buy something a designer has been involved in creating it and promoting it. What you buy may have been made in one country, but has usually been designed in UK, Europe or USA. The net flow of payments for licences and royalties of designs from manufacturing countries such as China to UK is massive. British designers are amongst the leading designers in the world and have developed their expertise in UK Universities such as Staffordshire University. 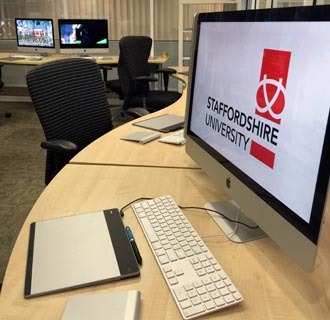 Now you can experience the advantages of studying design with Staffordshire University in Malaysia. 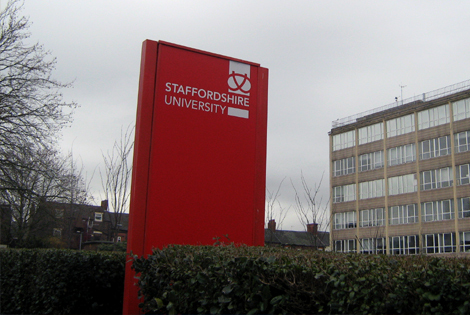 The Degrees offered by APIIT have the same curriculum as at Staffordshire University in the UK. They will develop your abilities to work on your own and in a team in initiating and creating a wide range of products and promotional activities, including advertisements for print, broadcast, and online as well as display packaging and other promotional support tools. Many of the world’s most iconic and recognizable designs originate in the UK. Think of the UK Union Jack flag to be found on clothing and cars, the easily recognizable MINI car, the London Underground map which has been copied by rail systems around the world and London buses. You may want to equip yourself for a career in pretty much any sector that requires a certified Designer. Whatever the case, you’ll find we’ve an industry-leading course for you. skills, developing your employability opportunities. APIIT’s creative studio environment mirrors an agency environment, creating flexible working zones and project spaces with industry standard software. The college’s dynamic, ideas led advertising programme will equip you with the skills and understanding to develop a career in the creative industries. Whether you want to work in a creative team, be a copywriter, account planner or brand manager, you will gain vital hands-on experience that is highly attractive to future employers. The programme team has industry experience and our associate tutors are current creative directors and agency practitioners. APIIT place creative thinking and ideas at the centre of our 360° approach to advertising study via digital and traditional advertising platforms, explore social media, viral marketing and ambient advertising. Industry placements and agency visits will add to your development. You’ll learn how to create advertising campaigns by studying key areas of creative thinking, strategy and planning as well as idea generation, integrated communications, art direction and copywriting. Will introduce you to the key concepts and practices that underpin successful advertising and brand communications. You will experiment with ideas, creative thinking and communication and explore these areas through creative solutions. You are encouraged to explore visual communication and theoretical issues raised by the relationship between advertising, brands, marketing and issues of sustainability. You will learn to integrate strategy, planning and creative practice. You will also develop your industry links, networks and placement opportunities. You have the opportunity to personalise your portfolio. Modules involve creative ideas, research and multi-disciplinary solutions to creative brief. You will also investigate the strategic importance of ‘future proofing’.Life after ABM – We have a strong alumni linked through our programme Facebook page http://www.facebook.com/ABMatStaffsUni who are working in a number of agency roles locally and nationally, throughout Europe, the US and China. 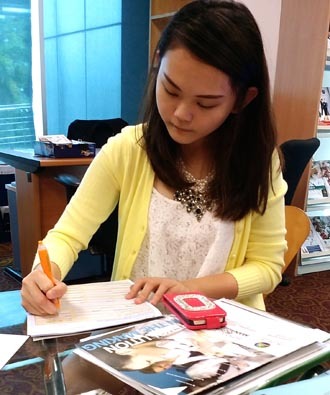 In addition to the above, all students are required to successfully complete General Studies modules as stipulated by the Malaysian Qualifications Agency, as well as fulfill credit requirements for Co-Curricular Activities. Our Advertising and Brand Management programme focuses on exploring creativity and practice through research, theory and studio projects. A variety of methods are used to develop and assess your learning and progression. They are all designed to reinforce the strategy of integrating the intellectual and experiential processes of learning in a creative studio environment so that you have confidence and experience of the advertising industry environment before graduation with well developed creative thinking skills. Our programme is committed to building your confidence in your own powers of communication. Each student is supported in developing their key skills and approaches at every part of the process. Through each level our students are exposed to increasingly complex challenges to their ability to communicate their ideas, whether through a presentation of research findings to their peers, written academic argument or, when dealing with a practical brief, communicating creative concepts to a client. EduSpiral provided a lot of information and took us to to tour the campus and hostel. Studio teaching takes place in dedicated studios. This practice contributes substantially to your independence as a learner and industry approaches. 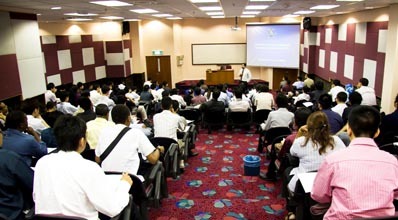 Lectures, including lecturers by industry professionals. Group critiques. Students present their work to the group of staff and students for progress review. Active participation in critiques provides a valuable opportunity to develop confidence in presentation and communication skills. Tutorials for providing feedback on progress as well as encouraging analysis and reflection. Technical instruction of software etc taught by the technical instruction team. Study visits take place in agencies, we also visit, exhibitions and conferences, and introduce you to industry contacts and working practices. We are committed to developing and sustaining a professional approach to work and our students are expected to use all of the allocated learning time for work/practice/research in all modules within the open access studio environment. The first year of the programme introduces you to the foundations and key skills and related industry practices as well as diagnosing your current skill base. You will become involved in all aspects of the creative process from initial brief to final production. The emphasis is on progression towards the ability to self-manage project work. of advertising strategy, copywriting and digital platforms as well as ethical issues. With continued support and supervision and focus on your skills portfolio you begin to develop competence in the key skills required in the industry and learn how to employ these effectively either individually or as part of a creative team. In the final year of the programme most modules are studio-based and will often centre on a brief set by the module leader, an external agency, live client or competition brief. This kind of learning model focuses on developing creative insight and research process leading to an effective client pitch, which is assessed. This tests your abilities against the processes used within the industry. I was confused about what to study & where to study. EduSpiral spent a lot of time to explain the courses & which ones had bright careers. He also advised me to choose a university that has an English-speaking environment to help improve my language skills. industry practitioners, bench-marking against advertising industry practices. This integrated approach to assessment ensures that the varied approach supports different kinds of learners, and develops our students’ abilities to perform effectively in a `real-world’ industry situation. highly employable graduates, by providing our students with an internationally benchmarked academic experience closely aligned to industry requirements. 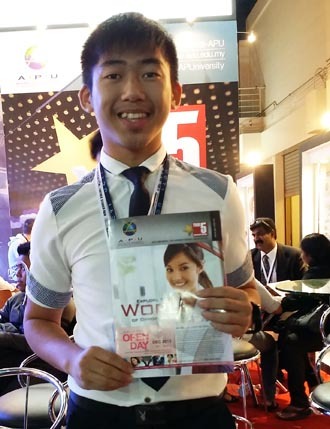 As an integral member of the APIIT Education Group – comprising the Asia Pacific University of Technology & Innovation (APU), the Asia Pacific Smart School and the Asia Pacific International School – APIIT has achieved an enviable record of having produced more than 20,000 highly employable graduates through a sound approach of transforming and nurturing school leavers into qualified and highly competitive professionals. APIIT’s programmes are offered together with our long-standing international partner, Staffordshire University, United Kingdom. Under this approved collaborative arrangement, APIIT delivers Staffordshire University degrees using the same curriculum and conforming to the same teaching, learning and assessment quality enhancement processes as in the UK, with the aim of ensuring comparability of student experience and academic standards. APIIT’s courses are approved by the Ministry of Education, Malaysia and accredited by the Malaysian Qualifications Agency (MQA). All of the programmes are quality assured by an International Advisory Panel (IAP) whose members include representatives from our international partner universities and industry and technology leaders in the private sector. 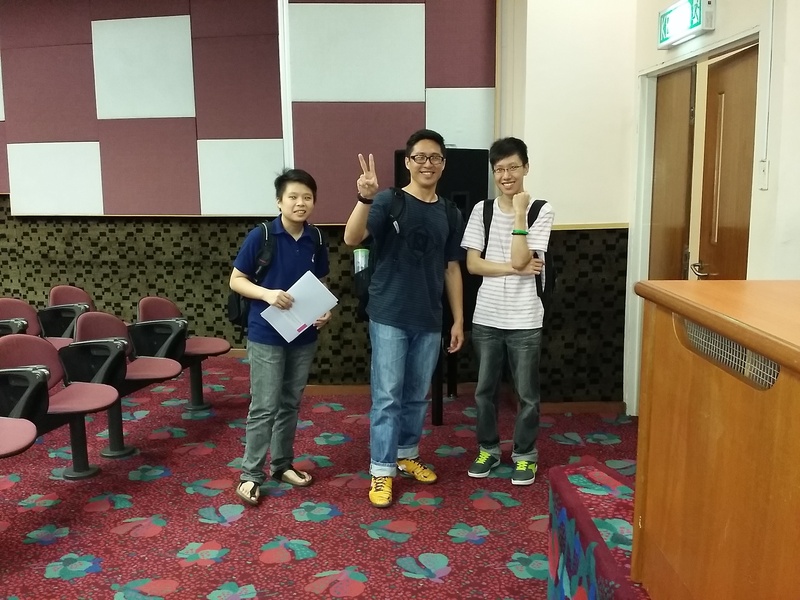 EduSpiral picked us up from KL Sentral & took us to Asia Pacific University for a campus tour as well as arranged the Software Engineering lecturer to explain the courses in detail to us. Indeed, APIIT’s system of education produces graduates who embody Staffordshire’s commitment of producing The Staffordshire Graduate – graduates who possess the key skills of employability, enterprise and entrepreneurship – and the ability to stand out in the job market. As APIIT students studying on Staffordshire University degrees, our students get a whole lot more than just an understanding of their subjects, but will leave with a set of attributes that prospective employers not only look for but will value and respect. At the same time, APIIT’s own Foundation and Diploma programmes are also externally quality assured by Staffordshire University, which ensures that students obtain an internationally benchmarked qualification while also ensuring successful progression into the degree of their choice. This approach in providing internationally benchmarked education also extends beyond the borders of Malaysia, and is closely replicated within our family of APIIT branch campuses operating in Sri Lanka and in India. 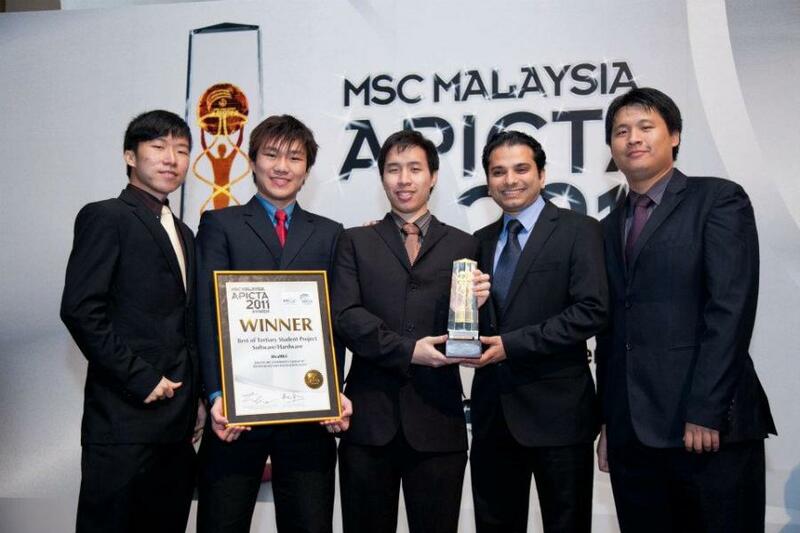 Among Malaysia’s first MSC-Status Institutions, APIIT has also achieved a strong track record in research, development and commercialisation, winning more than 50 Malaysian and international awards to-date for its innovations, products and student projects. 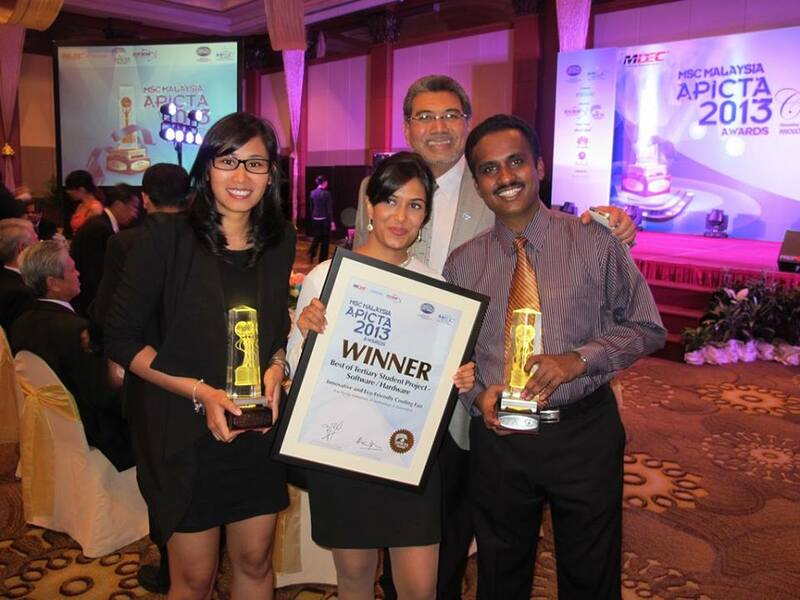 In recognition of its focus on quality in education, the APIIT Education Group received the Prime Minister’s Award of Excellence in 2011, as well as the Export Quality Award from the Ministry of International Trade and Industry, Malaysia. APIIT’s academic programmes are approved by the Ministry of Education of Malaysia and the qualifications are fully or provisionally accredited by the Malaysian Qualifications Agency (MQA). 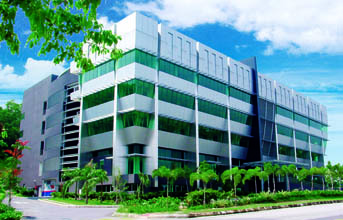 The university is strategically located in Technology Park Malaysia, Bukit Jalil. It is near condos and the Bukit Jalil LRT station. A free shuttle bus is provided for students to the LRT station and their accommodation. community is global and students represent over 75 nations worldwide. Since 1914, Staffordshire University has offered vocationally inspired education relevant for the age. Back then their focus was on mining and ceramics. Now the university is delivering everything from Computer Games Design to Forensic Science. 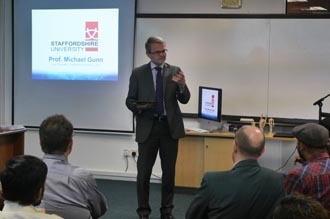 As well as being involved in many international collaborative research projects, Staffordshire University is committed to delivering high quality education through its many international partnerships. Staffordshire University has over 17,000 students that make up a dynamic and vibrant community at their campuses in the United Kingdom. 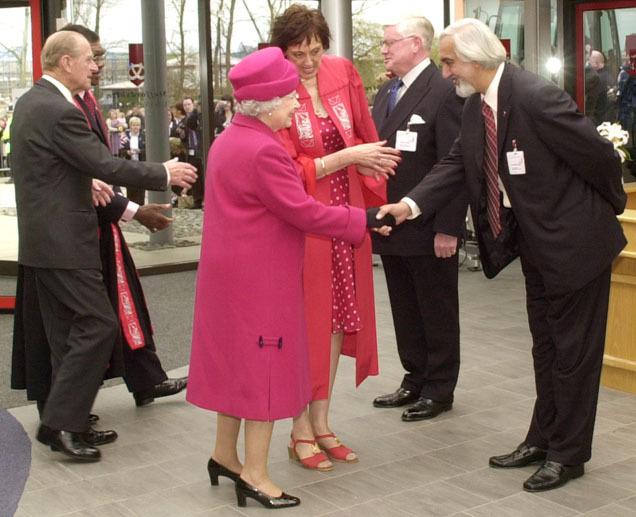 Staffordshire University has a long and proud history of providing high quality, progressive and inclusive higher education for people from across Staffordshire, the region, the UK and the rest of the world. 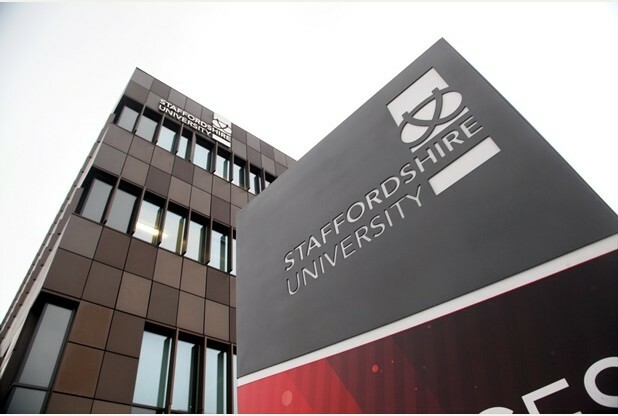 Staffordshire University has a reputation for producing graduates with the knowledge, skills and ability to make their mark in the world. League Tables, in which it was recognized as a leading UK university for achieving graduate employment. One of the first universities in the world to offer computing degrees back in the 1960s, Staffordshire maintains a strong reputation for excellence and innovation in teaching technology based subjects. 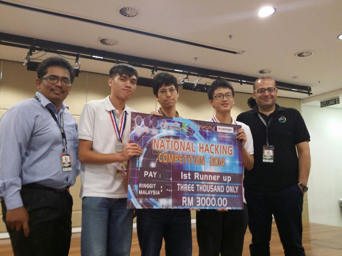 The University’s Computing, Computer Games Design, Network Security, Mechanical, Electrical, Electronic and Automotive Engineering awards are all highly respected by employers globally. Staffordshire’s Accounting and Finance, Business Studies, Economics, Management and Marketing degrees have all been designed to provide a truly international perspective. 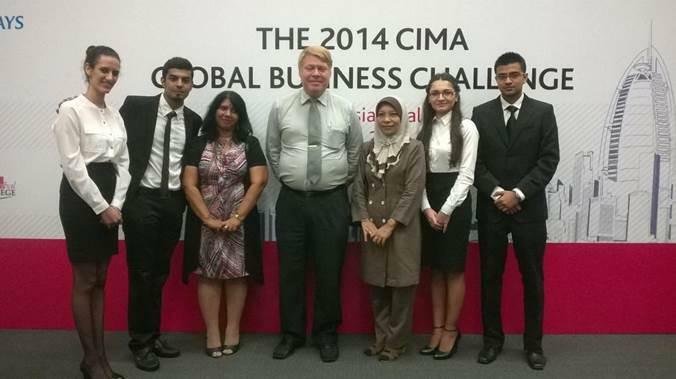 This is a real benefit for students wishing to pursue a career in Business or Commerce. The University’s learning community is truly global. At any one time, in excess of 17,000 students from over 75 countries are studying in Great Britain, by distance learning, or on Staffordshire University quality-accredited courses internationally. award the Undergraduate Degrees. This ensures that our programmes are benchmarked against international standards. In addition, APU’s solid relationship with Staffordshire University is among the strongest and most successful foreign collaborations in Malaysia, and is particularly notable in their strong shared mission of producing highly employable graduates. The 2014 National Student Survey (NSS) show computing awards at Staffordshire University exceeding the national sector average for the computer subject area. The 2014 National results from the Destination of Leavers in Higher Education also show Staffordshire University computing awards exceeding the national average for computing graduate employability/further study, six months after graduation. Staffordshire has forged partnerships with industry-leading companies such as Sony, Cisco, Microsoft, Vodafone, Jaguar Land Rover and Epic Games in support of teaching and learning as well as in preparing students for their careers. The collaboration between Staffordshire University and US based Epic Games led to the launch of the University’s Epic Games Centre, which offers students the opportunity to put theory into practice and develop a deeper understanding of the commercial complexities of the gaming development process. Staffordshire University graduates have been well accepted by industry. Many graduates have gone on to work with internationally recognised organisations such as the BBC, Microsoft, Bentley Motors and NASA. Others have gone on to form their own successful businesses whilst some graduates have worked on Oscar winning films, written books and even won an Olympic gold medal. Learning – this is a University where a unique fusion of technology, innovation and creativity works effectively towards preparing graduates for significant roles in business and society globally. In 2004, APU’s associate institution, APIIT, was the only Malaysian education institution to have won multiple awards in both National and International Asia Pacific ICT Awards. 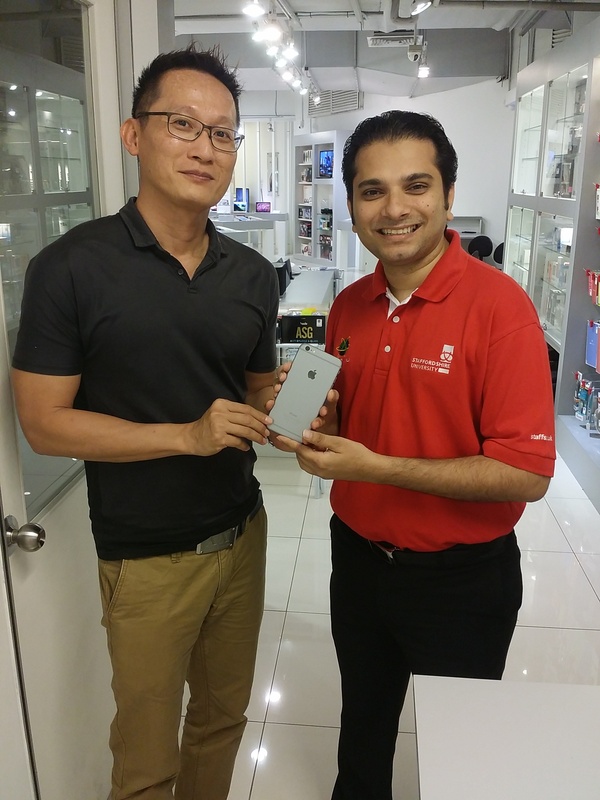 It was also the only Malaysian finalist in the Asian Innovation Awards and the winner of the Malaysian IT Product of the Year. 2. 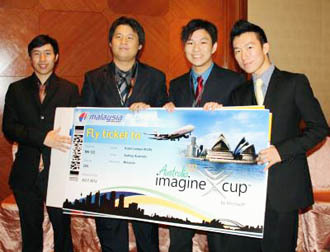 Their students have won the Microsoft Imagine Cup (Malaysia) for 2010, 2011 & 2012 and have represented Malaysia in the Microsoft Imagine Cup (World) competition. For 2011, they won all the top 3 awards. 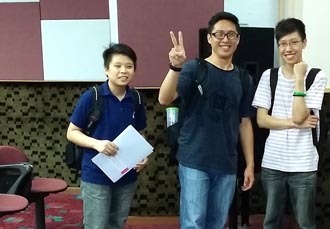 Originally established as the Asia Pacific Institute of Information Technology (APIIT) in 1993, APU has more than 9000 students from 90 countries studying in its Malaysian campus. This gives you an opportunity to build an international network while studying as well as gain invaluable cultural insights and communication skills. More than 95% of APU graduates are employed by graduation. to their commitment to excellence in higher education and training, as well as innovative research and development and comercialisation. The only Institution to have won the prestigious MSC Asia Pacific ICT Awards every year since the inception of the awards in 1999. UCTI’s academic programmes are all approved by the Ministry of Higher Education of Malaysia and the qualifications are accredited by the Malaysian Qualifications Agency (MQA). 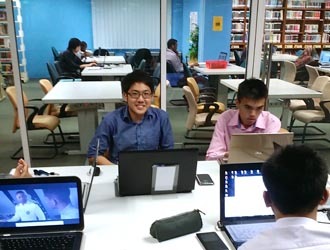 Asia Pacific University College of Technology and Innovation (UCTI) was established when Asia Pacific Institute of Information Technology (APIIT) was officially awarded University College status by the Ministry of Higher Education, Malaysia, in 2004. 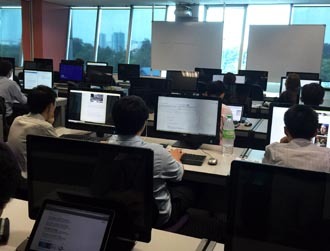 Asia Pacific University students have access to state-of-the-art computer facilities that include the latest PCs and workstations with Internet connection, operating systems, software suites and commercial programming software in multiple IT labs built for project work, multimedia production, software and internet programming. APU’s library is a gateway to a comprehensive collection of books, journals, periodicals, student projects and other related publications to support learning and research for all students and staff. In addition, you can access online digital libraries from leading providers such as Proquest, Emerald, ACM and Current Law Journals. The library also houses areas for individual and group study, computer facilities and a photocopying facility. 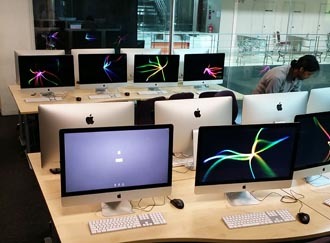 All students have access to state-of-the-art computer facilities that include the latest PCs and workstations with Internet connection, operating systems, software suites and commercial programming software in multiple IT labs built for project work, multimedia production, software and internet programming. Furthermore, all around the campus you will have access to wireless Internet so you can learn anywhere, anytime. Learning and understanding of the various Engineering principles at different levels is supported by hands-on laboratory work. This is undertaken in fully-equipped laboratories for Analogue and Digital electronics, Communications Engineering, Electrical Power, Controls and Automation, as well as Materials and Testing laboratories and the Mechanical workshop. As well as this, in order to enable students to learn and understand the latest high-tech engineering techniques, software such as Matlab, Multisim (Simulation) and Autodesk Inventor (Engineering Design) have been installed in the Engineering software and Microprocessor laboratory. Students can make use of all these facilities to do their course work and projects. APU will be moving to a new campus at the end of 2015 which is also located at Technology Park Malaysia. Technology Park Malaysia at Bukit Jalil is the ideal location for this new and contemporary Campus due to its strong positioning as Malaysia’s primary hub for leading-edge and high-tech developments in a wide variety of areas such as Information and Communication Technology, Biotechnology, Microelectronics, Engineering and Broadcasting. TPM is also located in one of the most rapidly developing areas in Kuala Lumpur, and is well served and accessible through major highways, LRT and other forms of public transportation. The central atrium space of APU’s new campus forms the hub to the building with large communal spaces, multipurpose hall and various other facilities like the large library, computer & engineering labs, lounges and syndicate rooms. Students will enjoy a lifestyle experience through the sports and recreation facilities such as swimming pool, fitness center as well as basement car parks on campus, among many other exciting facilities. 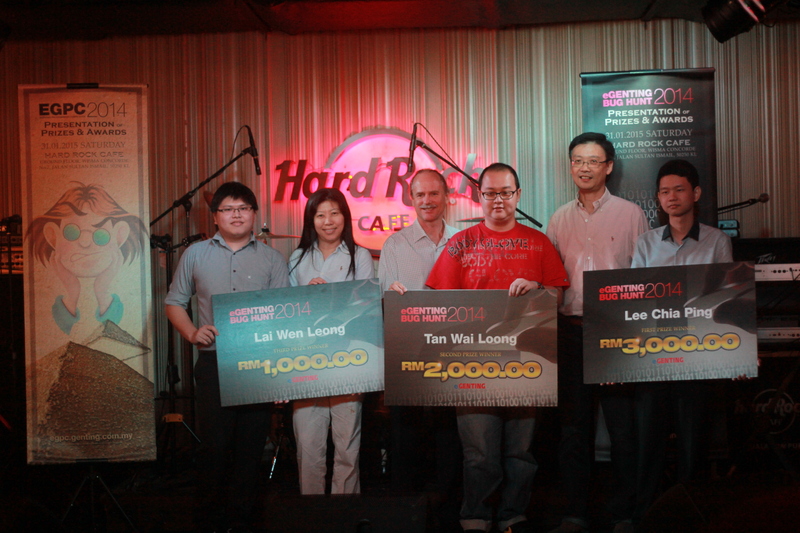 Scholarships, PTPN Loan and MARA Loan are available. For details, please contact EduSpiral Consultant Services. A wide range of affordable hostel accommodation is provided. Free bus shuttles are provided to and from APU and the hostel as well as the Bukit Jalil LRT station. 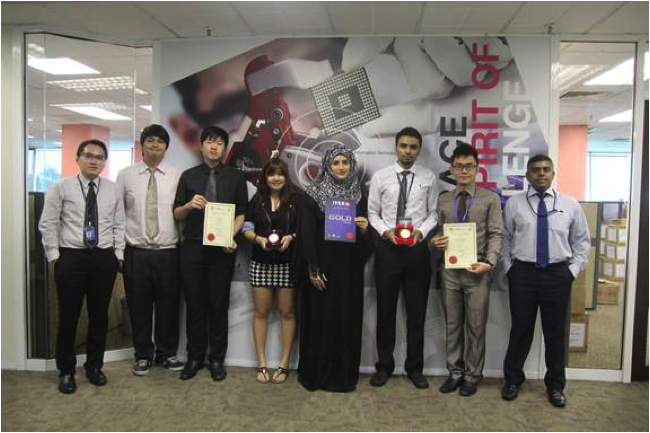 Scholarships at APIIT range from 30% to 100% depending on the students’ results in SPM, STPM, UEC, O-Levels, or the A-Levels. Sports Scholarships are also available for State and National Players. Special scholarships are available for students from East Malaysia – Sabah and Sarawak, to assist them to achieve their educational goals. APIIT and Asia Pacific University staff will advise and assist students in applying for the PTPN and MARA loans. MARA Loans are only available for bumi students. Students interested to register at APU may go to this link. 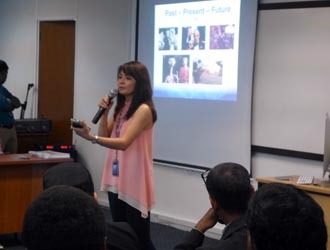 “Asia Pacific University of Technology & Innovation (APU) works closely with EduSpiral Consultant Services in assisting a smooth transfer into our programmes for students from all over Malaysia.